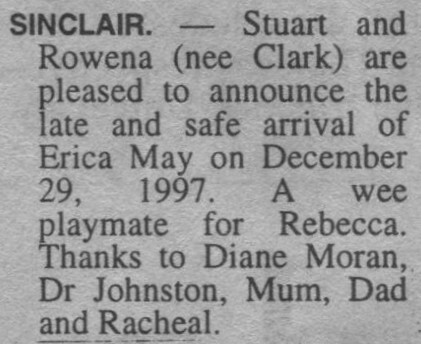 Stuart and Rowena (nee Clark) are pleased to announce the late and safe arrival of Erica May on December 29, 1997. A wee playmate for Rebecca. Thanks to Diane Moran, Dr Johnston, Mum, Dad and Racheal.